Modern snare drums are fitted with one of the many mechanisms that enables a performer to engage the snare wires relative to the snare head and fine tune the tension of the snare wires. The ability to release the snares when an open (muffled) sound, tom-tom, or timbale effect is desired by manipulating the lever with a simple hand movement is taken for granted. The device that allows a drummer such ease in controlling the snares (therefore the drum’s timbre, tone, and individuality) seems as if it has always been part of the snare drum. In fact, the first working snare release with a lever mechanism was patented in 1889. The invention was that of Ellwood E. Fry of Brooklyn, New York 2 (see Example 1). 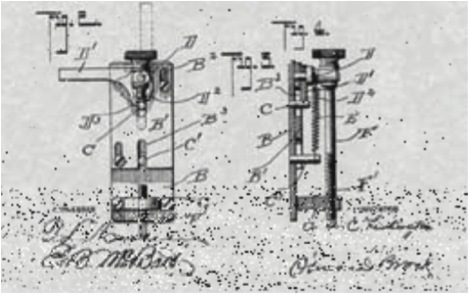 Before Fry’s invention, it was common to have a wingnut or knob-type screw that could engage, disengage, or adjust the snares to the necessary tension. Of course, this screw was not very efficient if the tension had to be changed dramatically and quickly. Fry’s strainer can be considered the first real snare lever. The description of his invention in the patent letter is quite ironic, as his purpose for the invention was not for the sake of efficiency or to facilitate vast changes in sound. The invention served two functions, the first being to release the snares after playing (especially in a damp or wet climate), allowing the snares to shrink back to their original length3, and the second was that the clamp for the snares would act as a protecting shield from the tension screw to prevent uniforms and clothing from getting torn or damaged. Fry’s device has served a far more important role in the development of snare drums than he would ever have thought imaginable! From 1889 to 1906, there was little interest in improving Fry’s invention, although a few attempts were made.4 The development of vaudeville and jazz music was responsible for snare strainer inventions after 1889, due to the demand on the drummer to change from the snare sound to an “Indian tom-tom” or “snares off” sound instantaneously. When a drummer performing on the screw-type snare-tension drum needed to change the timbre from snares to tom-tom, a stick was jammed between the snares and the head. This was quicker than unscrewing the snares until they did not react with the head, though not very good for the snare wires! Two other strainers immediately followed the Ludington invention, and although not quite as successful, they offered interesting variations on the releasing mechanisms. The first, in 1906, was a mechanism by Charles B. Wanamaker, of Indianapolis, Indiana.7 His strainer dropped the snares down and away from the drum by way of a lever. The other, in 1907, designed by John T. Shawan, had a lever at the bot- tom of the adjustment bolt8 that moved the whole tensioning unit away from the base of the drum to disengage the snares (see Example 3). In 1910, Wanamaker developed the first working “flip style” snare-strainer9 (see Example 4). The unique feature of this design is that it does not require an additional apparatus to hold the lever in the “snares on” position. 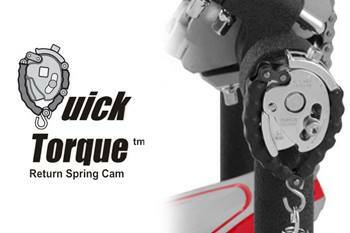 The tension of the strained snares attached to the lever provides an automatic restraint against accidental release. The first attempt by the Ludwig Company to develop a snare strainer was not particularly successful.10 The entire adjusting bolt had to swing away from the drum to engage the snares (similar to the Shawan invention upside down), and be locked in place with a wingnut-style device. Ludwig had its first innovative snare strainer with a development by the engineer and assignor to the Ludwig Co., Robert C. Danly11 (see Example 5). Danly’s 1919 invention became the model for continuing variations and improvements of the “lever style” snare strainer. In 1920, when Ludwig & Ludwig began to utilize this strainer as the standard attachment for its drums, there finally existed a device that was simple, effective, and worked consistently. The Danly “snare-tensioning device for drums” applies the same principle of moving the snare wires (called “strings” in the patent application) into an operative or an inoperative position instantaneously. The lever slides on a simple cam mechanism that, when raised (“snares on” position), will not slip or accidentally release. A fine-tuning knob enables a performer to bring the snares to the necessary tension and desired “crispness.” One of the first classic snare drums manufactured with this straining device was the Black Beauty snare drum of the early 1920s (see Example 6). Developments in snare straining devices from the 1920s to the present have superseded these early inventions, with the Danly strainer being the only exception. 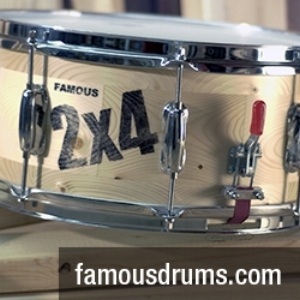 It is still in use today, in both its original and modified forms, on a wide variety of snare drums. Aldridge, John. Guide to Vintage Drums. Centerstream publishing: Anaheim Hills CA, 1994. America’s Shrine to Music Museum. Snare drum by Ludwig & Ludwig, Chicago, 1920–1925. Online resource: www.usd.edu/ smm/Blackbeauty.html, 2002. Cook, Rob. The Complete History of the Leedy Drum Company. Cemterstream publishing: Fullerton CA, 1993. Ludwig, William F. and Theobald R. Ludwig. Drums & Accessories: catalogue. Ludwig & Ludwig: Chicago, 1913. The Patent Museum. Ludington Snare Drum Patent, 1908. Online resource: patentmuseum@aol.com, 2002. United States Patents and Trademarks Office. E. E. Fry, Patent No. 399,396: snare- strainer for drums. Online resource: www.uspto.gov, 1889. United States Patents and Trademarks Office. Albert C. Ludington, Patent No. 889702: attachment for drums. Online re- source: www.uspto.gov, 1908. United States Patents and Trademarks Office. John T. Shawan, Patent No. 907,901: muffler for drums. Online resource: www.uspto.gov, 1908. United States Patents and Trademarks Office. Charles B. Wanamaker, Patent No. 1,011,533: snare-strainer. Online resource: www.uspto.gov, 1911.United States Patents and Trademarks Office. William F. Ludwig, Patent No. 1,042,806: snare strainer and muffler. Online resource: www.uspto.gov, 1912. United States Patents and Trademarks Office. Robert C. Danly, Patent No. 1,354,028: snare-tensioning device for drums. Online resource: www.uspto.gov, 1920. Harry Cangany, author of The Great American Drums and the Companies That Made Them. Modern Drummer Publications, 1996. Jayson Dobney, curator of musical instruments, America’s Shrine to Musical Instruments Museum, www.usd.edu/smm. 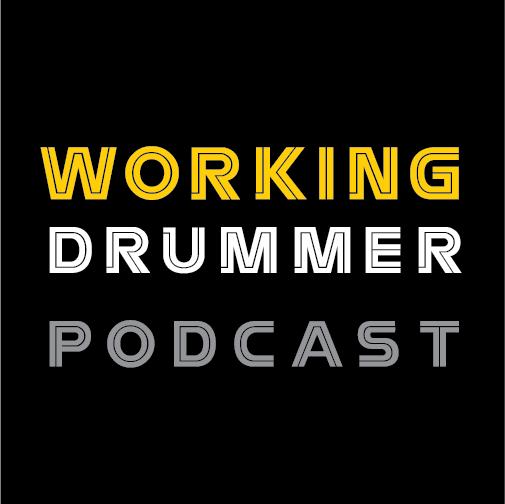 Rick Van Horn, senior editor, Modern Drummer magazine. Mary LaFrance, Professor of Law and Associate Dean for Academic Affairs, William S. Boyd School of Law, UNLV. 1. Traditionally, the term “muffled” is derived from the practice of draping a cloth over the entire drum, or inserting an object, such as decorative woven cords, between the snares and the head for a tom-tom sound. 2. Ellwood E. Fry Snare-Strainer For Drums, Patent No. 339,396 filed August 13, 1888, approved March 12, 1889, United States Patent Office. 3. In 1889 snares were made from gut, and the music requiring drums was largely military music. 4. These patents can be researched on the United States Patents and Trademarks Web site, www.uspto.gov in the class 84/ 415. 5. Albert C. Ludington Attachment For Drums, Patent No. 305,704 filed March 12, 1906, approved June 2, 1908, United States Patent Office. 7. U. G. Leedy and C.B. Wanamaker assignors to the Leedy manufacturing Co. Drum, Patent No. 850,306 filed Nov. 12, 1906, approved April 16, 1907, United States Patent Office. John T. Shawan assignor to the Rudolph Wurlitzer Co. Muffler For Drums, Patent No. 387,103 filed August 5, 1907, approved December 29, 1908, United States Patent Office. 9. Charles B. Wanamaker assignor to the Leedy manufacturing Co. Snare-Strainer, Patent No. 599,621 filed December 27, 1910, approved December 12, 1911, United States Patent Office. 10. William F. Ludwig, Snare Strainer And Muffler, Patent No. 1,042,806 filed September 16, 1909, approved October 29, 1912, United States Patent Office. 11. 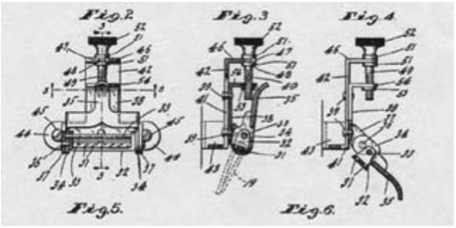 Robert C. Danly assignor to Ludwig & Ludwig, Snare-Tensioning Device For Drums, Patent No. 1,354,028 filed May 29, 1919, approved September 28, 1920, United States Patent Office. Dr. Timothy Jones is a freelance drummer/percussionist and Coordinator of Percussion Studies and History of Rock ‘n’ Roll at UNLV. In addition to performing extensively in Las Vegas and internationally as a percussion soloist and drum set artist, he is the author of the book Rock ‘n’ Roll Origins and Innovators, several Percussive Notes percussion articles, and has been a contributing author to PercusScene in Australia. His performing credits include the Las Vegas Opera, the Las Vegas Philharmonic, Mary Wilson, Andrea Bocelli, Michael Buble, Sarah Brightman, Josh Groban, Peter Cetera, David Foster, Buddy Greco, Carl Fontana, Natalie Merchant, Don Rickles, the Irish Tenors, the Wild Celts and Mojo Risin’. Dr. Jones is proud to serve as a clinician and endorser of Yamaha keyboard percussion instruments, Vic Firth sticks and mallets, Grover Pro Percussion and Sabian Cymbals.